Singita (‘place of miracles’) is world-renowned for providing the best safari experience in Africa and has notched up virtually every hotel and travel award since its inception in the mid-90’s. The balance of hospitality, conservation and community is what sets Singita apart, and has been at our core from the very beginning. There are five lodges in two equally alluring parts of South Africa, both famous for their exquisite beauty and the chance of finding the ‘Big 5’. The founding lodges, Singita Ebony and Singita Boulders, are located within the Sabi Sand Reserve – the world’s best Leopard viewing area, as well as Castleton Camp, a private 6-roomed villa that overlooks a well-frequented waterhole. 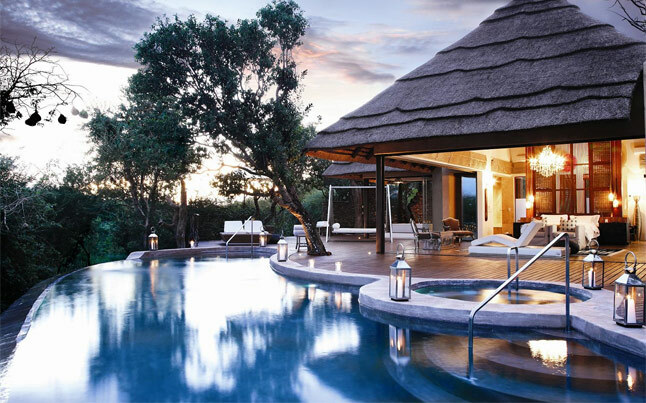 Singita Lebombo and Singita Sweni Lodges are found along the secluded eastern reaches of the Kruger National Park – a remote wilderness area renowned for its lion prides. Situated in the Kruger National Park, South Africa. Every sound, scent, footprint or broken blade of grass is a sign waiting to be interpreted and understood. The theme of this lodge is set by Jock of the Bushveld, an animal classic penned during South Africa’s first gold rush. In the heart of the Kruger National Park, Jock Safari Lodge reflects the elegance of this bygone era. With the Mitomeni and |Biyamiti rivers as backdrop, it offers a bushveld setting to behold in an area famed for its Big Five sightings. Old world charm and modern amenities combine at the 12 individual thatched suites, which are hidden by verdant trees. The nearby Little Jock, a 3 suite stand-alone lodge, offers personal service in an intimate atmosphere. Although this is a malaria zone, incidents are rare. Precaution is still advisable. Set in the Balule Nature Reserve, Sausage Tree Safari Camp promises rich game viewing and spectacular views, as our boundary with Kruger National Park is open and the Northern Drakensberg Mountains form a majestic backdrop This family-owned and operated Safari Camp pride itself on the warm atmosphere offered, delicious food, beautiful views and African style safari tented accommodation. Our unassuming Camp promises an intimate nature experience in a relaxing environment where you can unwind, kick your shoes off and be yourself. Enjoy lantern lit dinners in our boma or on our open deck under the star studded African sky. Breakfast and lunch is served on the open deck with views of the bush and waterholes frequented by a variety of resident animals. Sunrise and sunset safaris in open 4 x 4 vehicles are the highlights of the day. With our professional field guides, visitors can go in search of some of Africa’s famous variety of mammal and bird life, such as Giraffe, Zebra, African Fish Eagles, Vultures and the notorious Big 5 – Lion, Elephant, Rhino, Leopard and Buffalo. 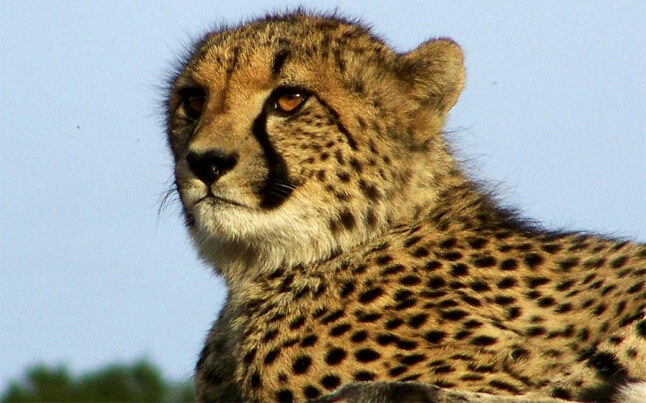 This malaria-free “Big-5” family owned and operated private Game Reserve comprises nearly 9000 hectares of pristine wilderness that spans across 5 different eco-systems (riverine forest, valley bushveld, savannah grasslands, fynbos and acacia woodlands). The game reserve is home to more than 25 species of game including Lion, Elephant, Leopard, Buffalo, White Rhino, Hippo, Hyena, Giraffe, Zebra, Wildebeest, Waterbuck, Nyala, Kudu, Warthog and a variety of other Antelope and more than 280 species of birds amongst which are high soaring Martial, Crowned and Fish Eagles which nest on the Reserve. Kariega prides itself in the abundance of general game and birdlife supplementing the “Big-5”. A unique feature is the ability to walk freely and safely amongst the game in an area of the reserve which excludes the dangerous “Big-5” animals. Shamwari, which means “friend”, is where guests and wildlife live in harmony for a special moment in time. Shamwari, home to the coveted Big Five and the crown jewel of private game reserves, offers an unsurpassed nature experience. 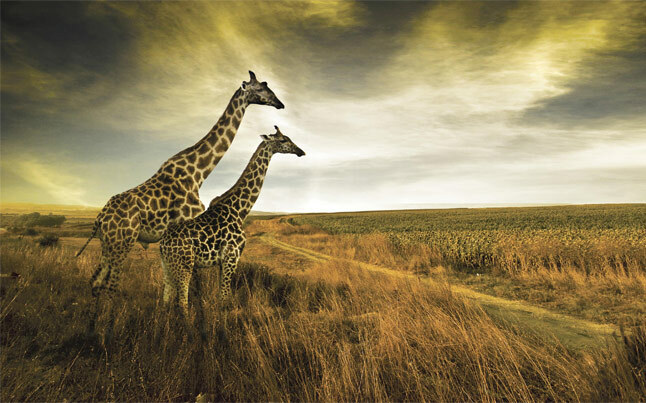 Situated close to Port Elizabeth, in the malaria-free Eastern Cape province of South Africa, Shamwari Game Reserve is one of the largest private conservation initiatives in Southern Africa. Seven luxury lodges each offer a distinctive ambiance and exclusive spa experience against the backdrop of untamed Africa. Explore 25 000 hectares of prime wildlife terrain through interactive game drives or visit the Born Free Animal Rescue and Education Centre. Relive the legacy of the famed San people and absorb the grandeur of the Little Karoo at the Sanbona Wildlife Reserve, on 3 hours drive from Cape Town on the Route 62. Surrounded by towering mountains and open plains it boasts an impressive selection of succulents and wildlife, including the Big Five and free roaming white lions. Sanbona offers five-star accommodation at three luxurious lodges. The beautifully restored Tilney Manor emulates the grace and elegance of the colonial era. Dramatically situated in a horseshoe bend of a dry Karoo ravine and surrounded by awe-inspiring rock formations, the luxurious & secluded Dwyka Tented Lodge exude an atmosphere of pioneering adventure in this vast landscape. Gondwana Lodge offers endless views and is the ideal lodge for families with children of all ages. Aquila is a Big 5 safari and has Lion, Elephant, Buffalo, Rhino and rare Mountain Leopard and is also home to Giraffe and Hippo. Large herds of game are found on the Reserve such as Black & Blue Wildebeest, Burchell’s Zebra, Springbok, Gemsbok, Steenbok, Caracal (lynx), Blesbok, Bat Eared Fox, Ostriches, Klip Springer, Duiker, Greybuck, Baboon, Black Backed Jackal, Eland, Red Hartebeest. 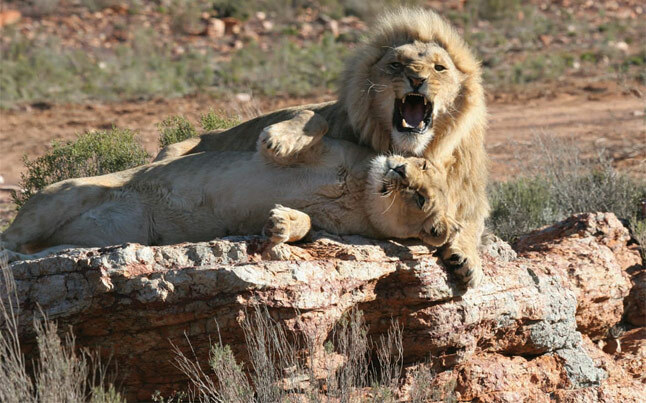 Lets us also arrange a safari adventure for you at any other top safari lodge in South Africa.